Today, we emptied our red wine tank, and as you can see, we really got stuck in! 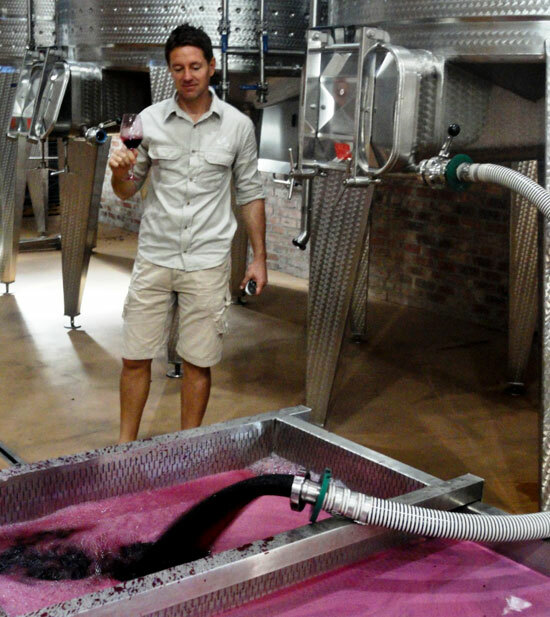 While hard at work, our head winemaker, Charl Coetzee, put together this photo story to let you in on the behind-the-scenes process of red wine making. 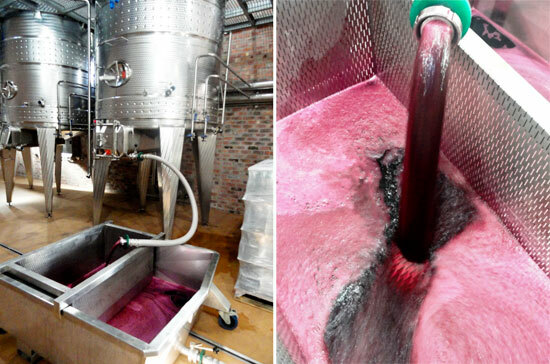 With red wine, the fermentation happens on the skins of the grapes. 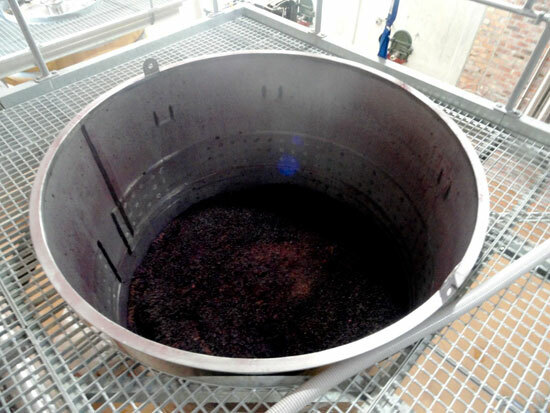 As soon as fermentation starts, the skins form a cake which rises to the top, leaving all the juice underneath. So when we want to empty the tank, we subtract all the juice at the bottom of the tank, pumping it away, leaving the skin cake to settle on the bottom of the now-empty tank. 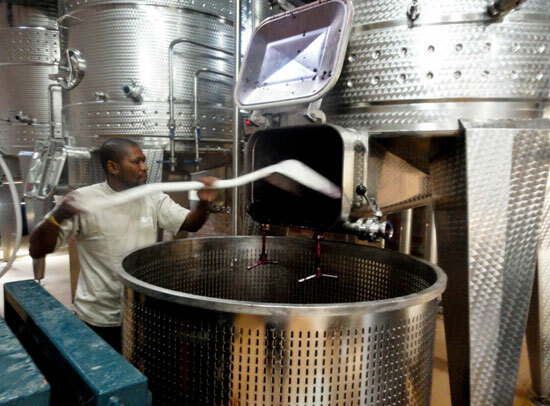 We then open the tank to make sure that all the juice has been pumped away and that only the skins are left over. We would also dig out some of the skins into the basket of the basket press to make emptying the tank a bit easier. 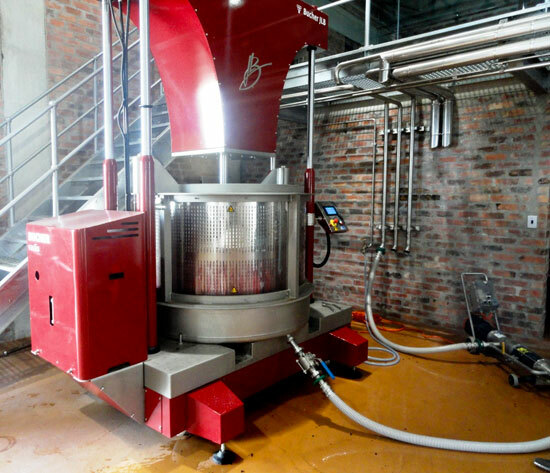 The basket is then transported to the basket press where the rest of the juice – which is, of course, our newly fermented red wine – is pressed out of the skins. Of course, when making wine, we have to taste all the time to make sure that everything is fine with the newly-fermented wine. It's part of the job you'll seldom hear complaints about! 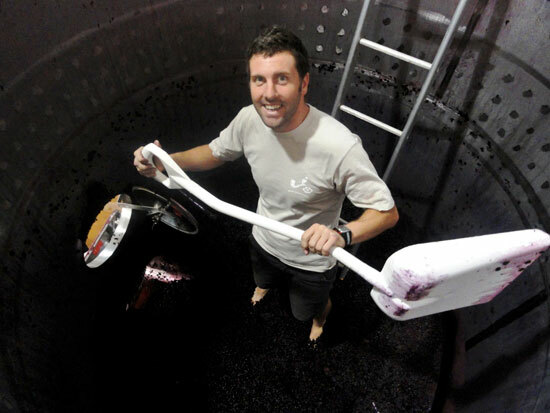 PS: Just to let you know, the wine in this tank is a Malbec and is not about to be bottled. It will only be available for use in one year, as it is part of a future Bordeaux blend. We’re sure it’ll be worth the wait!